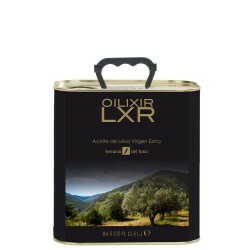 This olive oil stands out as being very fruity and sweet when entering mouth, almond and subsequent bitterness and spice. It is also rich in natural antioxidants, vitamins and essential fatty acids, which make it a good ally of our health. Merula is an Extra Virgin with an elegant blend of different varieties that give personality to this oil: Arbequina, Picual, Hojiblanca and Morisca, and allow to clearly differentiate the quality and exclusivity of it. Its mill, Perales Cellar, is located in Merida, strategic apex of Extremadura, which also makes another excellent olive oil internationally awarded as Marqués de Valdueza Coupage. If you want to enjoy all the features we recommend you try both for cooking and for eat raw. The fried food become very crispy and enhance the flavor of meat and slow stews.